Once standing in Chamberlain Street Campbelltown, this early colonial stone building is another which disappeared as population growth fuelled the housing boom with people seeking a block of their own and modern accommodation. Not every piece of history can be preserved intact, but certainly its memory can be. Not a well know property today, but notable because its fate was typical during the development of Campbelltown from rural village, to country town, and now to thriving Sydney suburb. In the early colonial years local government did not require a lot of building permissions and record keeping, the exact date of the home is unknown. Well educated guesses have Mossberry originating around the late 1820’s, with the main house built in the 1830’s, being a working property building would have continued as needed. There was a lattice breezeway linking the two buildings, and a separate timber barn. The breezeway and northeast veranda to the main building were added during the 1930’s, the timber barn most probably in the late 1800’s. There would have been more outbuildings these being demolished as the property was subdivided over time. 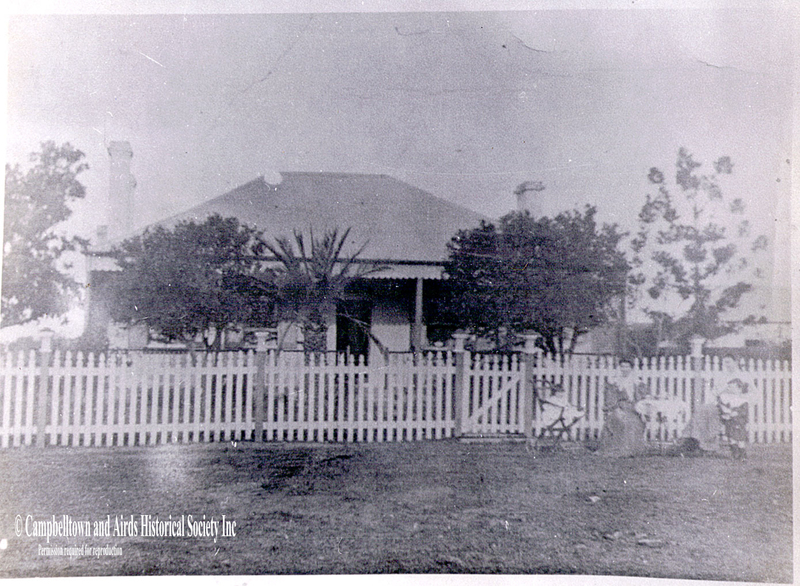 Robert Cable was granted 100 acres in 1816, just outside the boundaries of the soon to be proclaimed “Campbelltown”, Mr. Cable soon sold part of this land to the well know John Warby whose grant adjoined. Mr Warby was local constable when the body of Fredrick Fisher was found, Fisher later became the local ghost, as most people know. Joseph Warby, Johns son, purchased land from his father and others, from which he established “Mossberry Grove” his grazing and dairy property. Joseph married Elizabeth Fowler in 1838, they had fifteen children at Mossberry. Joseph died in 1899 and Elizabeth in 1900. Their sons Walter George Warby and Edward John Warby subdivided and sold Mossberry Estate in 1900. Mary Ann Eliza Hewitt became the owner of 10 acres including the Mossberry homestead in September of 1900. 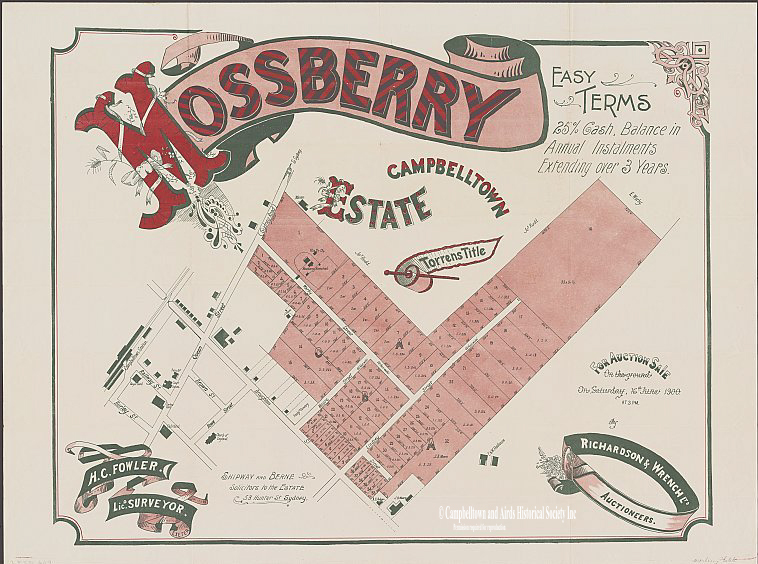 In 1913 Henry William Chamberlain purchased the property and subdivided a number of allotments leaving Mossberry with a little over an acre of land. Charles Hannaford purchased the homestead in 1927 and twenty years later subdivided leaving Mossberry much diminished. Charles and Margaret Hannaford’s daughter Ruby Catherine, and her husband James Malone moved into Mossberry with their children in 1931, she eventually purchased the property from her father. Catherine passed away in 1984 leaving the house to her remaining two daughters, Thelma Langdon of Taree, and Joan Nichol who now lives in Camden. The property was sold by them in 1988, developers subdividing the last remnant of Mossberry Estate. 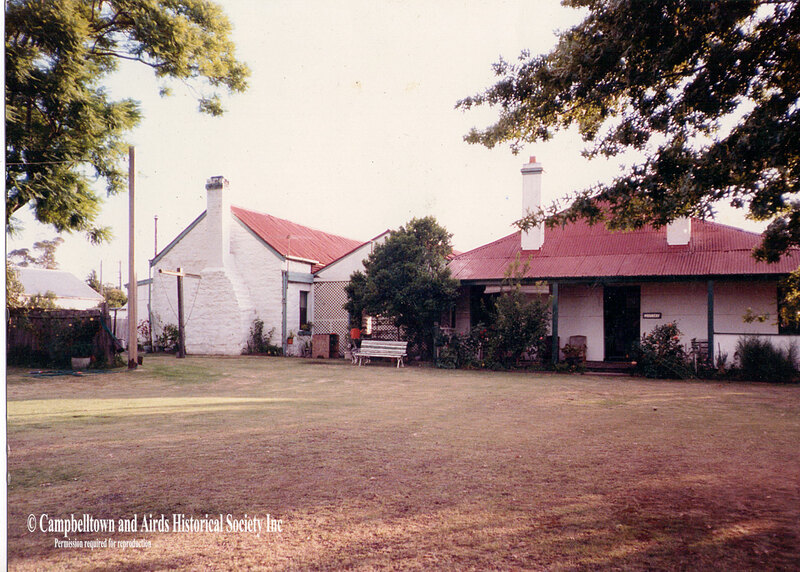 The Mossberry colonial buildings remained on a small block of land until Mossberry was demolished in the mid 1990’s, after the buildings were damaged by vandals. Information and research for this article is from Verlie Fowler, Stella Vernon OAM, and a conservation assessment by Ron Kydd, photographs courtesy: Joan Nichol and The Campbelltown and Airds Historical Society. Additional information is available from the society.